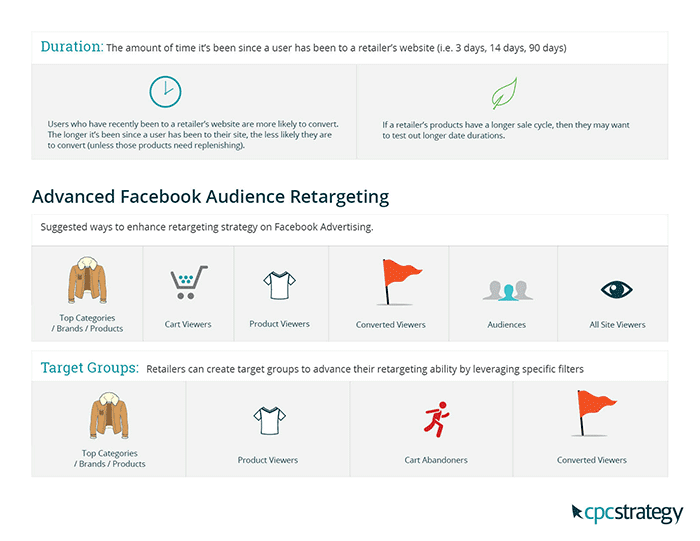 Make it easy to target specific customers or prospects with ads that convert on Facebook. 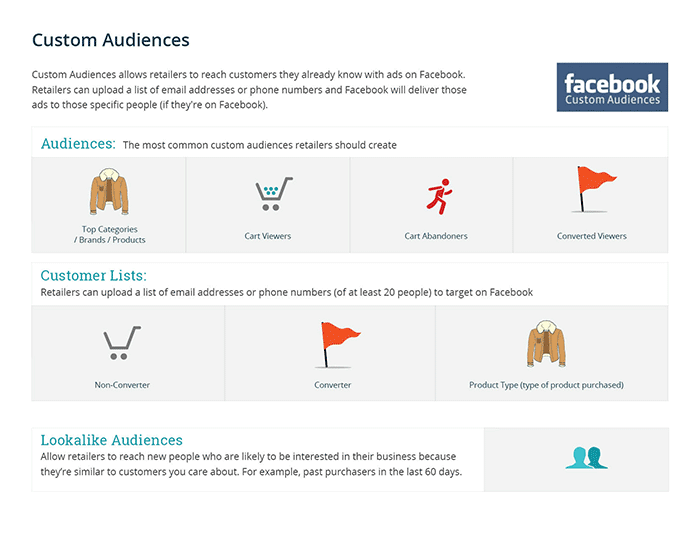 Custom Audiences allow retailers to reach customers they already know with ads on Facebook. You can upload a list of email addresses, phone numbers, or website visitors and Facebook will deliver a targeted ad.